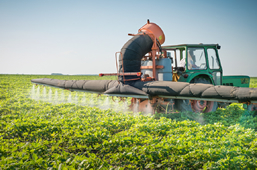 Recognizing that highly hazardous pesticides (HHPs) cause adverse human health and environmental effects in many countries, particularly in low-income and middle-income countries, ICCM4 supported concerted action to address HHPs. The Inter-Organization Programme for the Sound Management of Chemicals has agreed to facilitate collaboration, cooperation and contributions of stakeholders in the implementation of the HHP Strategy. SAICM stakeholders are encouraged to undertake concerted efforts to implement the HHP Strategy at the local, national, regional and international levels, with emphasis on promoting agroecologically based alternatives and strengthening national regulatory capacity to conduct risk assessment and risk management, including the availability of necessary information, mindful of the responsibility of national and multinational enterprises. This toolbox is a problem-solving tool that enables countries to identify the most appropriate and efficient national actions to address specific national problems related to chemicals management. These guidelines expand upon the articles that address HHPs in the Code of Conduct with the objective of helping countries to interpret and apply these articles effectively in order to reduce risks posed by HHPs. These pages are part of the Pesticide Registration Toolkit / Decision Support System for Pesticide Registrars in Developing Countries. This page is intended to help Parties understand the threats and notify the Convention. All stakeholders are invited to contact the Secretariat to contribute relevant content.